One of the first issues that we encounter in almost any given country operation is a lack of internal coordination and cooperation. Authorities often work in silos and do not share relevant information with other agencies - sometimes it's an oversight or a result of lack of organization, sometimes it’s a deliberate attempt to maintain exclusive control over information. Whatever the cause, our response is always the same: Cooperate, join forces, share information, and appoint a lead agency or person to coordinate the process. In the same vein, as StAR, we need to make sure that we cooperate and coordinate internationally, and build the partnerships necessary with all those other actors trying to fight corruption and financial crime. That is why I’m particularly happy that we just published a report on cooperation between FIUs and law enforcement (see under “Spotlight”) with the Egmont Group, the global organization of (currently) 159 financial intelligence units. This report is both about cooperation - and it’s in itself an example of cooperation. At the Egmont Plenary in Sydney last month, we presented StAR Awards to the financial intelligence units of Peru and Italy for two cases that again were both outstanding examples of cross border cooperation between FIUs. Further down the line, we hope to collaborate with other organizations on reports and studies, e.g. later this year with the International Bar Association (IBA) a report on asset recovery through insolvency procedures - and beyond that with other stakeholders, with our donors in conducting country work, and with civil society in raising awareness and taking action. In the fight against corruption, we're up against criminal networks that do themselves make perfect examples of effective cross-border cooperation. To keep up, we simply cannot afford to work alone. The StAR Awards recognize excellent achievements by FIUs in cooperation on cross-border corruption-related cases. In Nigeria: StAR conducted several open source investigation workshops for staff of relevant law enforcement and other agencies. These workshops were among the activities requested by Nigeria through the GFAR process. They were held in September 2018 at the Economic and Financial Crimes Commission (EFCC) Academy and were delivered by a former Metropolitan Police officer working with StAR. In Sri Lanka: StAR traveled to Sri Lanka on a mission in August 2018 to assist in developing a practical Asset Recovery Roadmap/Strategy and Action Plan that identifies the country's achievements and challenges in the area of asset recovery and provides specific recommendations for action. As part of this process, after initial desk reviews and consultations, the Presidential Task Force for the Recovery of Illegally Acquired State Assets (START) organized a round table with all relevant stakeholders. StAR also continued to provide assistance in the development of a Proceeds of Crime Act and in reforming Sri Lanka's asset declaration system. In Ukraine: Over the summer, some of the key recommendations provided by StAR to the Asset Tracing and Management Office of Ukraine (ARMA) in May 2018 were incorporated in a new version of the proposed amendments to the legal framework on asset tracing and management in Ukraine. StAR experts provided an analysis on the updated version of the amendments in late September. In addition, StAR provided advice to practitioners of the National Anti-Corruption Bureau of Ukraine (NABU) on using open source information with a focus on registries abroad. StAR experts also supported the World Bank dialogue with Ukrainian authorities and international partners on the launch of the High Anti-Corruption Court (HACC). In Tunisia: StAR has agreed on conducting a training for financial analysts from Tunisia's FIU, which has been scheduled for December or January, and has been in discussions with relevant authorities about these plans. Aside from our GFAR-related country engagements, StAR continues to build capacity and provide technical assistance to many other countries facing acute challenges related to asset recovery. Over the summer, StAR provided expertise in support of the World Bank's dialogue with authorities in Moldova on the impact of the new voluntary tax compliance program adopted in July 2018 (Law on Voluntary Declaration and Fiscal Stimulation). Specifically, StAR analyzed the impact of the new law on Moldova’s asset declaration and anti-money laundering systems. The focus of the analysis was on whether this law could provide an avenue for allowing proceeds of crime to enter the financial sector and the economy. Further, we analyzed the potential for voluntary declarations to undermine the effectiveness of confiscations for unjustified variations of wealth. The World Bank’s initial press release on this law from 27th July is available here. In addition, since 2017, StAR has been providing technical advice on an ongoing basis on the legal framework on the functioning of the asset recovery and management office and also on the drafting of the regulation on the management of seized and confiscated assets. In September, StAR facilitated a 5-day training course “Introduction to Financial Investigations” in Skopje, FYR Macedonia, that was developed for new or recently qualified investigators, experienced investigators new to financial crime, and dedicated money laundering investigators from new agencies. In addition, StAR organized a one-day “Strategic Management of Financial Investigations” course for senior managers and prosecutors engaged in serious and organized crime investigations and prosecutions (including all financial crimes) to ensure their support for the development of professional financial investigation resources and to offer an opportunity to discuss operational challenges faced by each organization. In July, StAR participated in a workshop organized by ICAR on the topic of “Asset Recovery through Non-Conviction Based Forfeiture” in Quito, Ecuador. Workshop participants included officials from law enforcement and FIUs, judges, and prosecutors. Conviction-based confiscation is possible in Ecuador based on the provisions of the Código Orgánico Integral Penal (Comprehensive Organic Criminal Code). While there is currently no legislation in force allowing for non-conviction based (NCB) asset forfeiture, Ecuador is considering introducing a mechanism for NCB-forfeiture. As mentioned above, StAR organized and conducted several open-source investigation workshops in Nigeria during the past quarter. Building capacity for investigating corruption cases and tracing stolen assets forms an important part of our work and is a critical step in the asset recovery process. The workshops kicked off with a broader one-day introduction to open-source investigations that was attended by over 60 participants from the EFCC, the Federal Ministry of Justice, the National Drug Law Enforcement Agency, the National Police and EFCC Academy staff. Following this, two sessions of intensive three-day workshops were conducted for staff of these agencies, in addition to staff from the Independent Corruption Practices Commission, the Technical Unit on Governance and Anti-Corruption, the Federal Ministry of Finance, and the Financial Intelligence Unit. 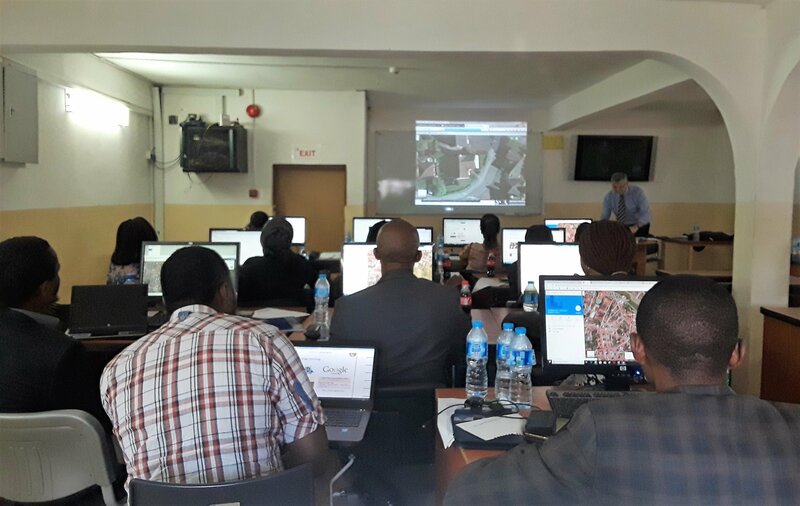 With about 30 participants per session, the trainer covered the basics of internet investigations and online security for analysts and investigators. Through hands-on use of workstations and practical exercises, participants explored different search tools and investigative strategies, as well as using social media in investigations. The goal of these trainings was for participants to learn how to apply those techniques when investigating targets and building subject profiles. Follow-up to these workshops will include a post workshop evaluation of participants and further knowledge-sharing with the EFCC Academy in order to replicate all or part of the training modules for future use. StAR conducted open-source investigations workshops for investigators from different government agencies in Nigeria as part of the Global Forum on Asset Recovery (GFAR) workstream. As part of StAR’s agenda to shape international policy on asset recovery and fostering partnership among asset recovery practitioners, we regularly participate in global and regional meetings that focus on asset recovery policy issues. StAR participated in the Egmont Plenary Meeting and the Technical Assistance and Training Working Group in Sydney, Australia, from 22 to 29 September 2018. 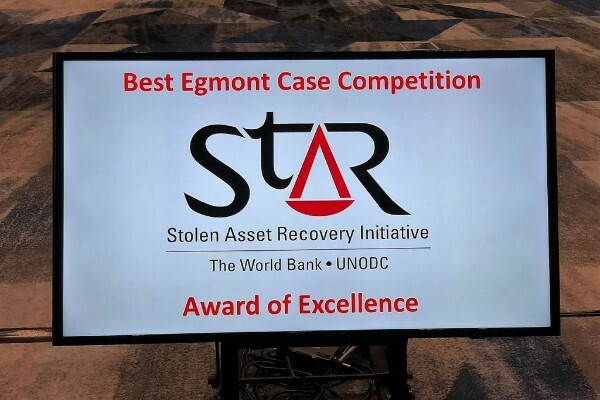 Last year, in celebration of StAR’s 10th Anniversary, we began presenting awards to cases submitted in the Best Egmont Case Award (BECA) competition in recognition of outstanding work that demonstrates multi-jurisdictional cooperation in corruption-related cases and lead - or are likely to lead - to successful asset recovery. These awards acknowledge the important role financial intelligence units play in identifying and tracing assets – a process that is critical to the eventual return of stolen assets. This year, at the Egmont Plenary, we presented the StAR Awards to the financial intelligence units of Peru and Italy for their outstanding achievements. In a case involving corruption by a high-level PEP, Peru worked closely with the FIUs of several FIUs in the Caribbean and Latin America, among others. Italy worked with the FIUs from six countries in Europe and the Middle East in a public embezzlement case involving assets of more than sixty million Euros. Congratulations to Peru and Italy! StAR presented the StAR Award to a representative from the FIU of Italy during the Egmont Plenary Meeting in Sydney. 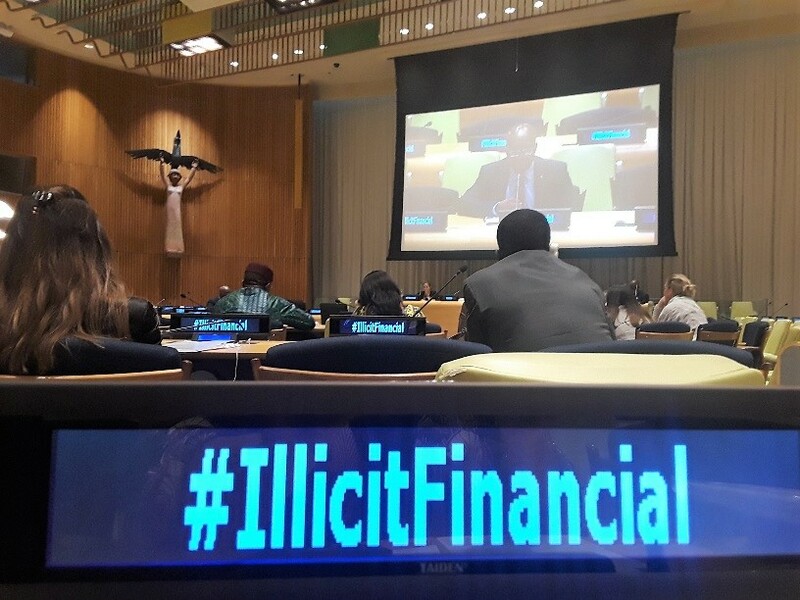 The Permanent Missions of Nigeria and Norway to the United Nations in New York co-hosted a high-level side event on Illicit Financial Flows, on the margins of the UN General Assembly’s 73rd session. Speakers at the event addressed the impact of illicit financial flows on the development agenda and the challenges of measuring such flows, as well as providing appropriate responses at country level. Panelists included high-level representatives of the U.N. Economic Commission for Africa, Global Financial Integrity, the Presidential Advisory Council Against Corruption of Nigeria, UNCTAD, and EURODAD. The session was chaired by Ms. Zainab Ahmed, Minister of Finance of Nigeria, and Mr. Nikolai Astrup, Minister of International Development of Norway. StAR has worked with Nigeria and Norway on their joint initiative to increase knowledge on this topic in the UN context and we made a statement at this event on efforts to support asset recovery and asset return, highlighting the outcomes of the 2017 Global Forum on Asset Recovery and ongoing work on the Financing for Development agenda. StAR participated in a side event on illicit financial flows of the UN General Assembly’s 73rd session. In September, StAR conducted a half-day training on asset tracing and recovery at the International Anti-Corruption Academy (IACA) Regional Summer Academy for East & Southeast Asia in Beijing. The IACA Regional Summer Academy is an eight-day interdisciplinary program for anti-corruption and compliance professionals from this region seeking to sharpen their skills. The program addressed region-specific topics and enable the exchange of knowledge, experience, and good practices among 31 professionals from anti-corruption agencies, law enforcement, government agencies, judiciaries, and private sector from Cambodia, China, Lao PDR, Malaysia, Mongolia, the Philippines, Singapore, and Timor Leste. StAR was invited as a partner institution to present for the asset recovery segment of the course. StAR also presented at an UNCAC Implementation Review Preparation Workshop in Beijing in late September. The event was organized by UNODC in collaboration with China’s National Supervisory Commission. The overall objective of the training was to strengthen participants’ capacity to take part in the mechanism for the review of the implementation of the United Nations Convention against Corruption (UNCAC IRM). The focus of this training was on Chapter V of UNCAC on asset recovery. Beijing Normal University published a report on this workshop (in Chinese). In September, StAR attended the Regional Asset Recovery Networks Meeting in The Hague, Netherlands, to propose collaboration with the asset recovery networks on an open source database that compiles resources for open source investigations, to be hosted on the StAR website. The Regional Asset Recovery Networks Meeting brings together representatives from seven regional asset recovery networks among practitioners in the field of asset tracing, freezing and confiscation and aims to increase the effectiveness of its members’ efforts to recover proceeds of crime. StAR proposed to host and maintain a directory of resources for each participating country, populated by useful open source information identified by investigators. The initial response to this proposal was very positive and StAR will continue discussions regarding possible collaboration with the regional asset recovery networks on this project. 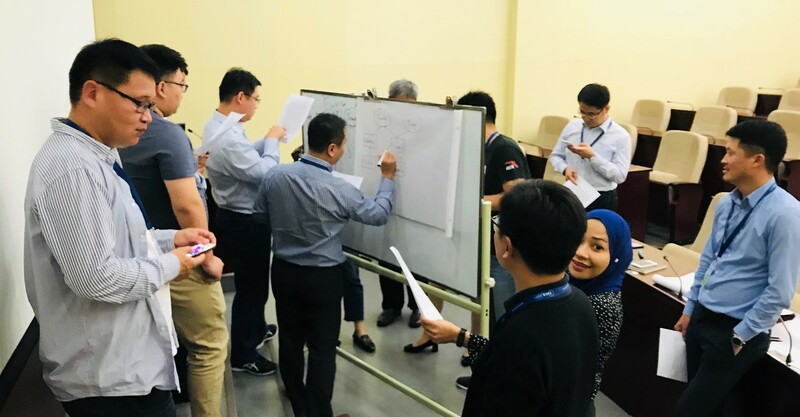 At the International Anti-Corruption Academy (IACA) Regional Summer Academy for East & Southeast Asia in Beijing, StAR conducted a half-day training on asset tracing and recovery. 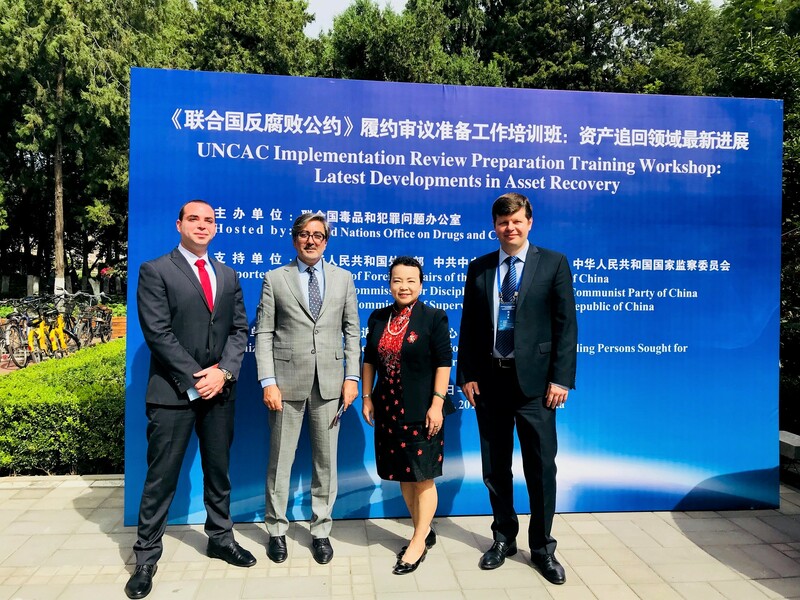 At an UNCAC Implementation Review Workshop in Beijing, StAR delivered a training focused on Chapter V of UNCAC on asset recovery. 10 September 2018, New York. Official meeting report and transcript available here. "Asset recovery is a critical part of efforts to tackle corruption and a fundamental principle of the Convention against Corruption. In 2017, we co-hosted the first Global Forum on Asset Recovery with the United States, the World Bank and UNODC [StAR]. The Forum helped to move forward arrangements for returning stolen assets of more than $300 million to Nigeria. The Convention, in chapter VI, highlights the importance of technical assistance and information exchange. The United Kingdom is proud to be working in partnership with several countries to share best practices and develop capacities." "Corruption is present in all countries, rich and poor, North and South, developed and developing. Numbers show the startling scope of the challenge. The World Economic Forum estimates that the cost of corruption is at least $2.6 trillion, or 5 per cent, of global gross domestic product. According to the World Bank, businesses and individuals pay more than $1 trillion in bribes each year. Corruption robs schools, hospitals and others of vitally needed funds. It rots institutions, as public officials enrich themselves or turn a blind eye to criminality. It deprives people of their rights, drives away foreign investment and despoils the environment. Corruption breeds disillusion with Government and governance and is often at the root of political dysfunction and societal disunity. The poor and vulnerable suffer disproportionately, and impunity compounds the problem. Member States must be on the front lines in the fight against corruption. It is especially important to build up the capacity of national anti-corruption commissions and prosecutorial efforts. Governments can also enhance anti-corruption efforts by ensuring independent judiciaries, a vibrant civil society, freedom of the media and effective whistle-blower protections. The international community can complement those efforts by working more effectively against money laundering, tax evasion and the illicit financial flows that deprive countries of much-needed resources and fuel further corruption." In September 2018, StAR published “Financial Intelligence Units Working With Law Enforcement”, a joint publication by StAR, the Egmont Group, and United Nations Office on Drugs and Crime - Global Programme against Money Laundering (UNODC GPML). The new publication, available on the StAR website, was written by Klaudijo Stroligo, Ching-Lung Hsu and Theo Kouts. Liechtenstein updated its Beneficial Ownership Guide in September 2018. The beneficial ownership guides are intended to serve as a guide for investigators or other interested parties looking to find information on an entity incorporated under the laws of the country concerned, including the identity of the beneficial owner or controller. All guides that have been published to date, compiled by country authorities with support from StAR, are available on our website. We are periodically updating the StAR Asset Recovery Watch database with new international asset recovery cases that involve proceeds of corruption. Recently added case entries include ARW-254 (1MDB), ARW-255 (Alison-Madueke), ARW-252 (Obiang-Ebony Shine Yacht), among others. In September 2018, StAR published “Financial Intelligence Units Working With Law Enforcement”, to support the implementation of the international anti-money laundering/countering financing of terrorism (AML/CFT) standards promulgated by the Financial Action Task Force (FATF) and other international organizations, and to propose good practices in cooperation among financial intelligence units (FIUs), law enforcement agencies and prosecutors (LEAs). The publication is based on a joint study by StAR, the Egmont Group, and United Nations Office on Drugs and Crime - Global Programme against Money Laundering (UNODC GPML). Financial intelligence is collected by both public and private organizations to investigate money laundering, associated predicate offences (such as corruption), and terrorist financing. Most countries establish FIUs in compliance with the FATF  Recommendations  and other international AML/CFT standards as central national agencies responsible for receiving suspicion transaction reports and other information from financial institutions and other reporting entities (e.g., casinos, precious gem dealers, and real estate brokers). The FIUs conduct analysis and disseminate their analysis to authorities (typically, LEAs and foreign FIUs) to combat money laundering and terrorist financing. FIUs have been established in more than 160 jurisdictions and, as of September 2018, FIUs from 159 jurisdictions have been admitted to the Egmont Group. The latest countries to have joined Egmont are Azerbaijan, Republic of Congo, Benin and Zambia. FIUs may be helpful partners for asset recovery practitioners in initiating a case and conducting an investigation. Where their analysis indicates money laundering or other criminal activity, FIUs will proactively provide intelligence reports to LEAs or to foreign FIUs. Most FIUs maintain a central database of all Suspicious Transaction Reports (STRs), Currency Transaction Reports (CTRs), cross-border currency reports, intelligence reports, and any queries received from LEAs or foreign FIUs. Such intelligence may be used by LEAs to understand the activities of an investigation’s targets, identify associates, and form links with the investigations of other agencies. With their expertise of financial services and products, money laundering typologies, and analysis of financial records and flows, FIU analysts may be a helpful resource in financial investigations. Finally, some FIUs have the power to administratively freeze funds for a brief period, allowing practitioners to preserve assets prior to obtaining a formal court order. In many jurisdictions, the level of cooperation between FIUs and LEAs could be significantly improved. StAR’s new publication examines how the FIUs and LEAs cooperate with one another and identifies the impediments to their closer cooperation. Based on findings among a survey of FIUs and LEAs, and extensive consultations, the publication sets forth practical solutions to improve cooperation and the effective management of financial intelligence. In addition, the publication presents recommendations for policy makers to improve their policies related to the cooperation among FIUs and LEAs. The publication is available on the StAR website. The FATF is an intergovernmental body established by the ministers of its member jurisdictions. The objectives of the FATF are to set standards and promote effective implementation of legal, regulatory, and operational measures for combating money laundering, terrorist financing, and other related threats to the integrity of the international financial system. See http://www.fatf-gafi.org/about/. See FATF Recommendation 29 and the related Interpretative Note. The Egmont Group was established in 1995 as an informal international association of FIUs. Its goal is to provide a forum for FIUs around the world to improve cooperation in the fight against money laundering and financing of terrorism and to foster the implementation of domestic programs in this field. Egmont Group members are FIUs that comply with the criteria of the Egmont Group. See http://www.egmontgroup.org. Copyright © |2018| World Bank Group, All rights reserved.